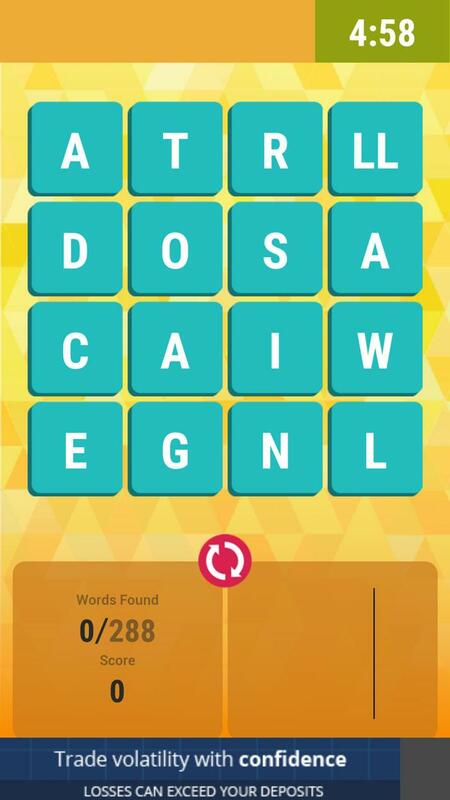 If you enjoy playing Boggle but feel that you aren’t given any option to customize your gameplay, well, Wordathon might just be the game you seek! 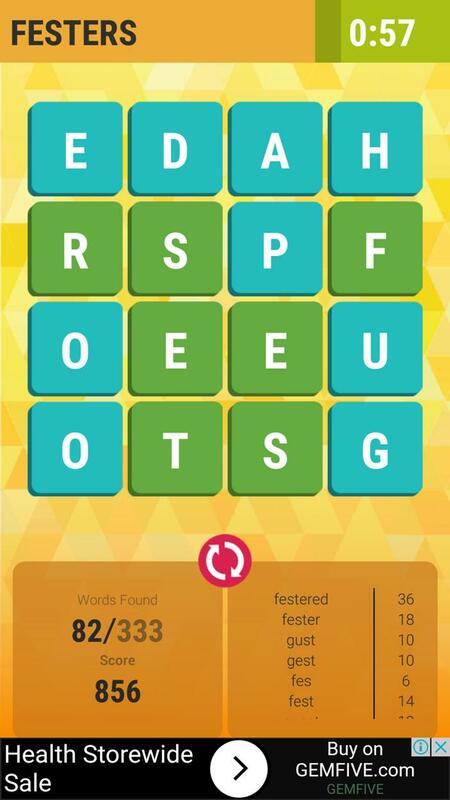 Featuring a classic game of Boggle, you’ll need to find as many words as you can within the 5 minutes. You can spell words by swiping whichever way you like, be it diagonally, horizontally, vertically or even a combination of 2 of the above methods (such as an L-shape), but you aren’t allowed to reuse letters. All of these are pretty common in a word game, so what makes Wordathon stand out? Well, interestingly, you have full reign when it comes to modifying your gameplay! There are so many things you can change in this word game, such as allowing time extensions, and choosing a grid type. Grid types are pretty much similar to game modes in many ways, and there are 4 different types in Wordathon, namely Basic; Two-in-one where “combo letters” like “Qu” will appear; Starts with- (Like “en-”) and Ends with- (Like “-es”). It’s definitely a lot trickier to try to form words with restrictions. Thankfully, there are also 4 different power-ups that you can bring with you when you enter a match. 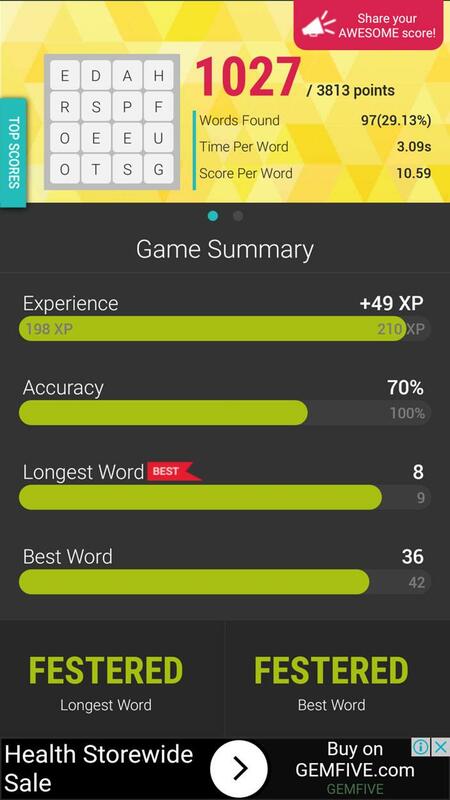 These power-ups include Freeze, which freezes the timer; Triple Word that makes a tile TW, allowing you to triple the score of all words using that tile; North Star which highlights the best unfound words for you and Peep that will list out several words that you have not found yet. Do take note that equipped power-ups that are unused will be consumed, so be sure to remember to use your power-ups if you have them equipped. Power-ups can be purchased using premium chips, and chips can be bought using real money or can be earned simply by logging in daily and getting that daily login streak. The bonus chips you’ll get will increase the more you log in. You can also win some free chips by sharing the game on Facebook, leveling up, or by inviting friends to the game. However, the only downside in this game is that regardless of which grid type you use or whether or not you activated time extension or even power-ups or not, your final score will be pitted against everybody else who played the same set. So, if you played the game in the classic way, don’t be disappointed when your score isn’t as high as you’d expect on the leaderboard. The leaderboard is separated into 3 groups – global, country and friends, but if you don’t like competing with others, you can view your personal stats via your profile instead.